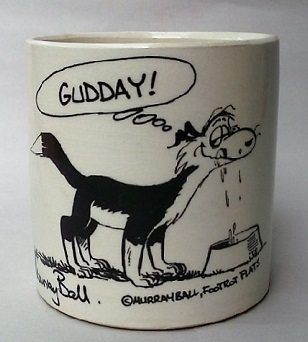 Could this be another toby jug - sherwood, a one off? Hello Ev, I found this jug which looks very much like the toby jug - sherwood, a one off. Can you please let me know how big the jug in the gallery is? 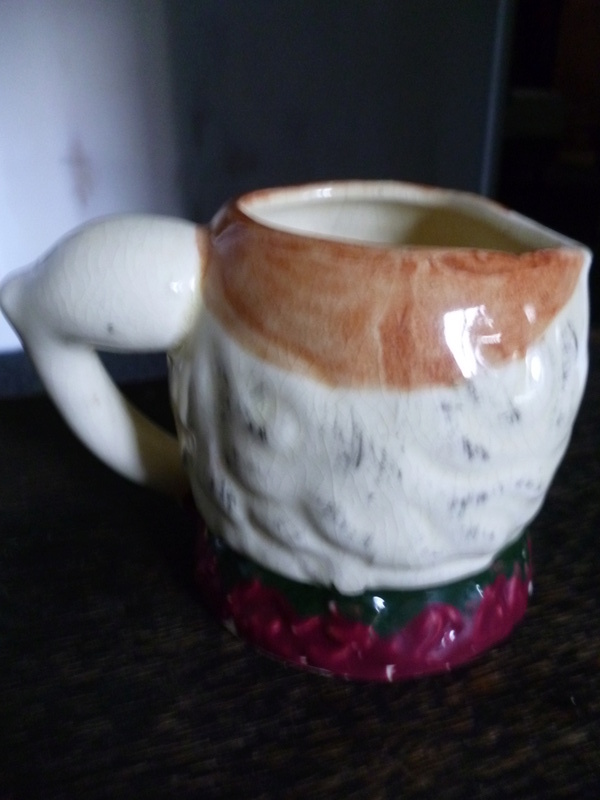 This jug is about 9cm tall and 11cm wide at the top including the handle. It is much smaller than the Aquila toby jugs and the glaze is more yellow/off white than in the picture. Re: Could this be another toby jug - sherwood, a one off? What a surprise to see another and so similar too! I'm sure Cam Brown Jnr said that their one was a one off .....? 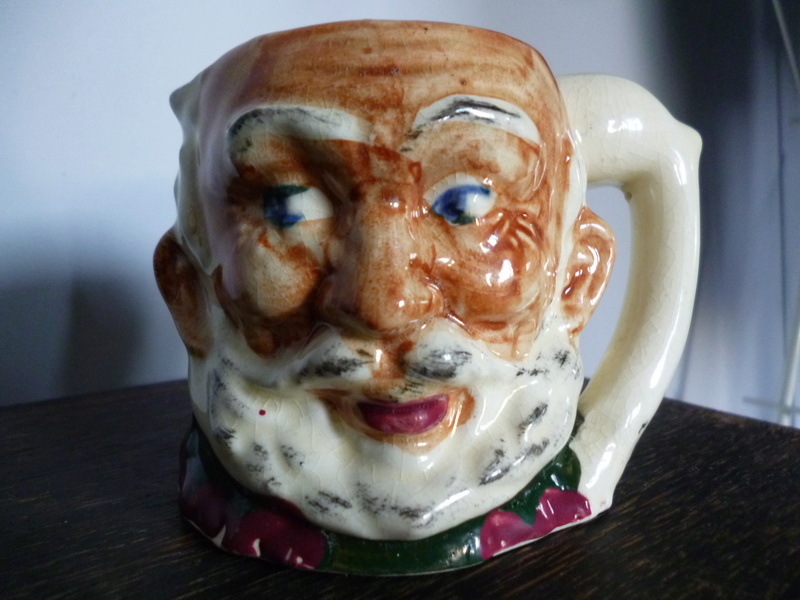 This is from the 'miniature' toby jug series, so it's not very big at all. I don't have measurements, but perhaps peters can help you with that, as he is an avid Titian collector. Who is this character suppose to be? 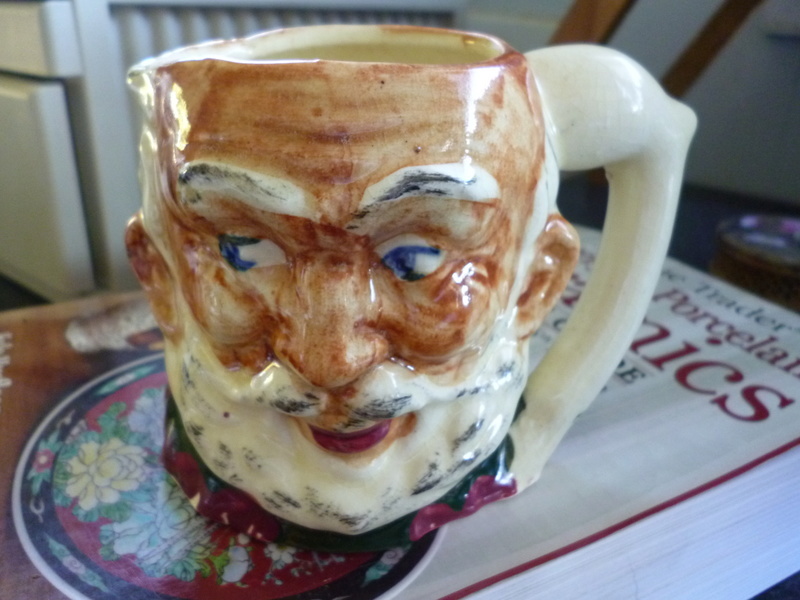 Its listed as a Sherwood one off, any new revelations about this jug? Well it really looks like there were a lot more than one made doesn't it, which doesn't surprise me as they usually made shapes in runs. All I can remember Cam Jnr saying was that his Mother painted these Toby Jugs. They must have said that their one was a one off for me to post that info when we visited them. hahaha That is funny! yeah we were wondering if the one you posted was a one off because of the eye liner! Nice little mystery toby character, his handle has a big muscle so maybe he was Little John that was revised later? oh the speculation, thanks for the reply.